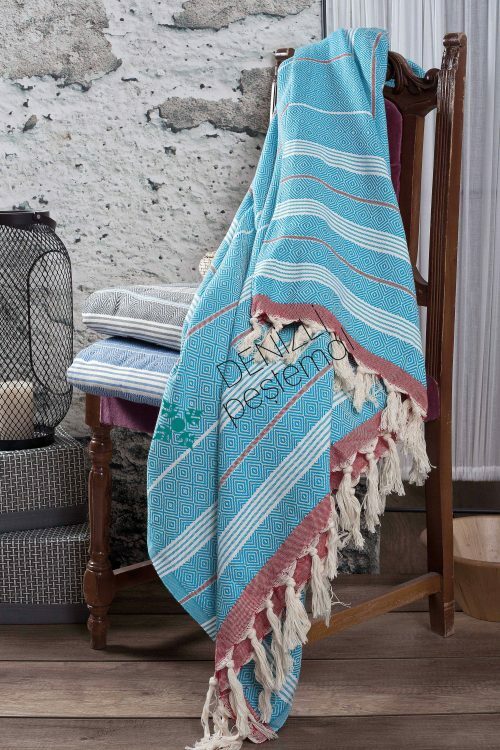 Basic diamond throws… They are woven 20/2 ring yarn and the colors are dyed regularly. These throws are soft, high-absorbance. These throws are mostly used in living rooms.